The design begins with some 1 1/2" .120 wall mild steel tubing to create the basic "upper" structure that is welded to the original bash plate. The front tube gives it some style and shape while a ridgid lateral tube, that will be hidden from view, provides good strength. Two pieces of steel flat stock (not shown) were added between the front and rear tubes to provide solid mounting surfaces for the lights, and additional strength. 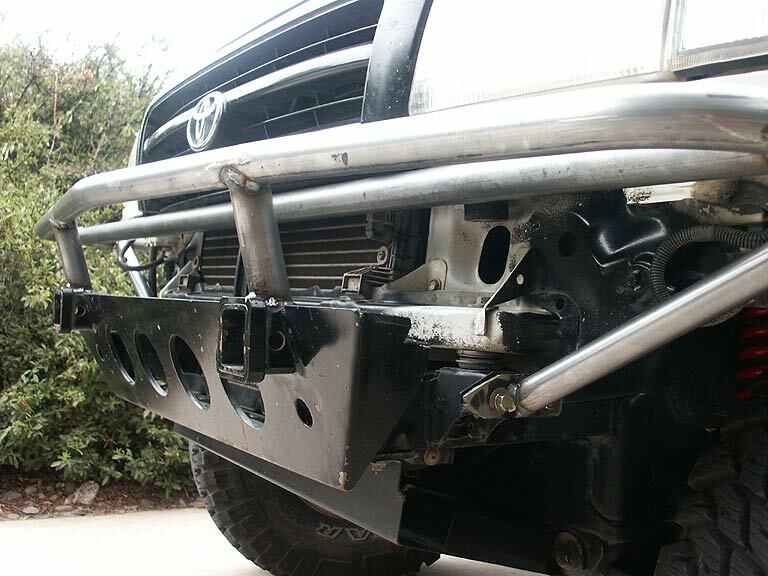 The angled side tubes have flanges that mate with the stock bumper flanges on the frame of the truck. 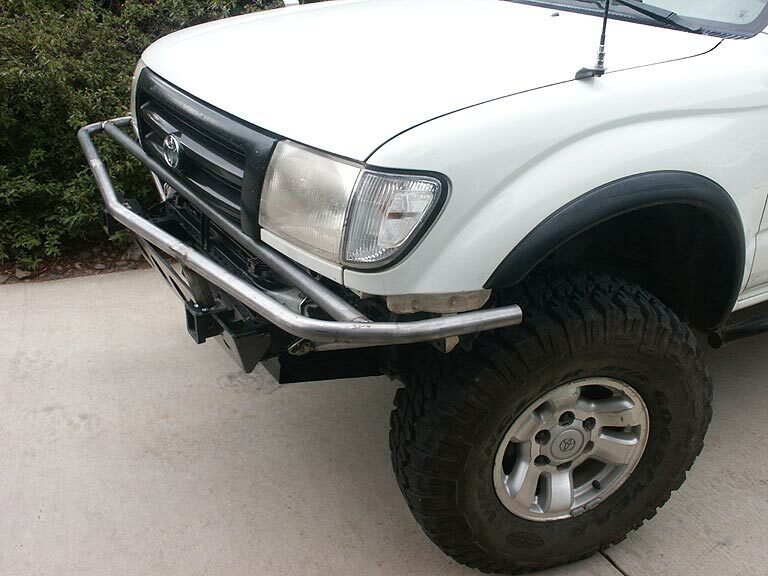 This provides a total of four mounting points (6 bolts) for the bumper - the two side flanges, and the two bolts that fasten to the frame horns in the front. 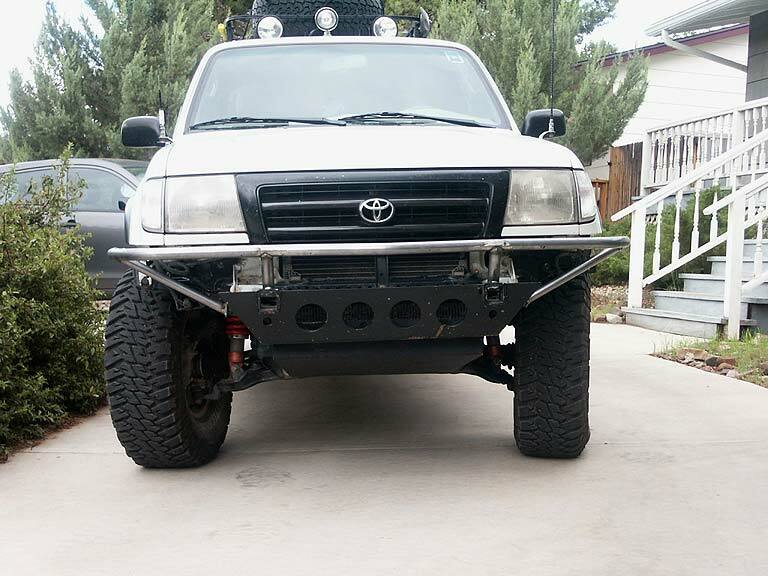 The OEM frame caps were removed, and reinforced caps provided. 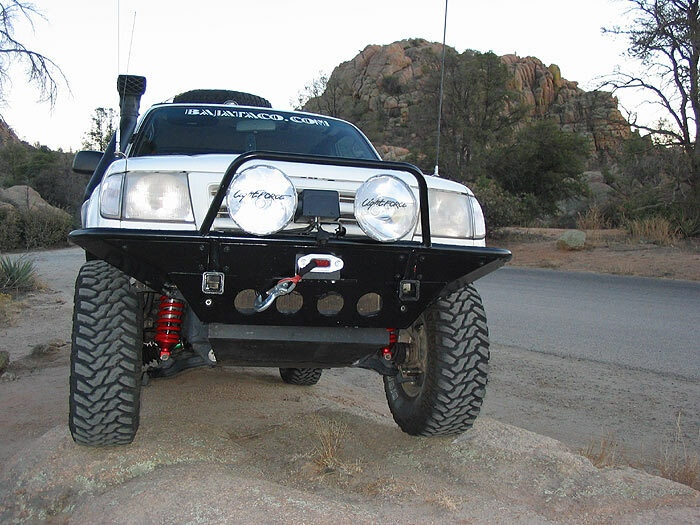 (If you plan to use these mounting points for recovery operations on your own Tacoma, you should take a look at Rob's article, "doing the end-cap mod").